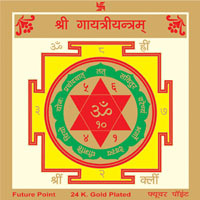 Gayatri Yantra is regarded as a great source of energy that eradicates bad luck and generates good fortune. 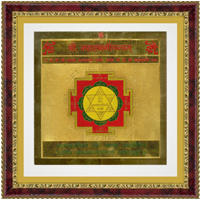 The worship of this yantra provides comforts in this world and a seat in Vishnu lok. 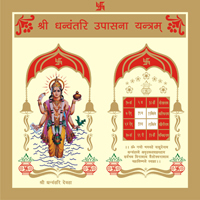 The results of bad beeds of many are eliminated and divine knowledge is generated. 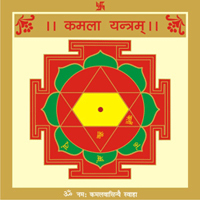 This yantra should be established in a static position. 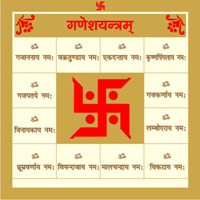 Om Bhoor Bhuwah Swah Tatsavitur Varenyam Bhargodevasya Dheemahi Dhiyoyonah Prachodayaat .